1. 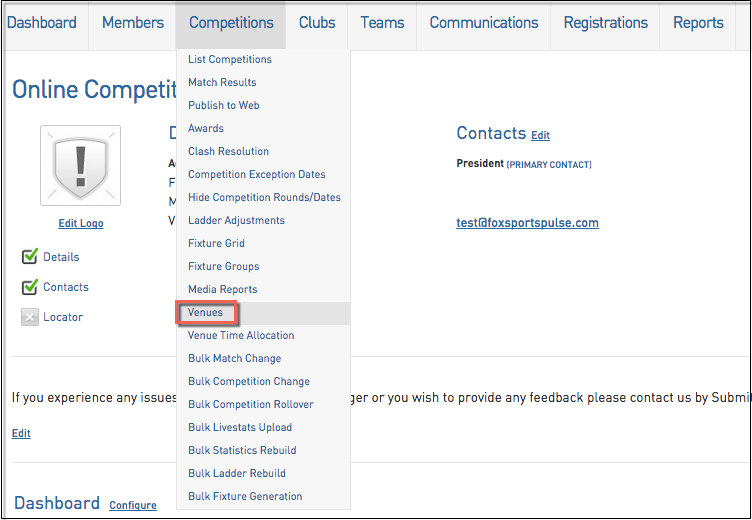 To add a Venue, hover over Competitions and click Venues. 2. 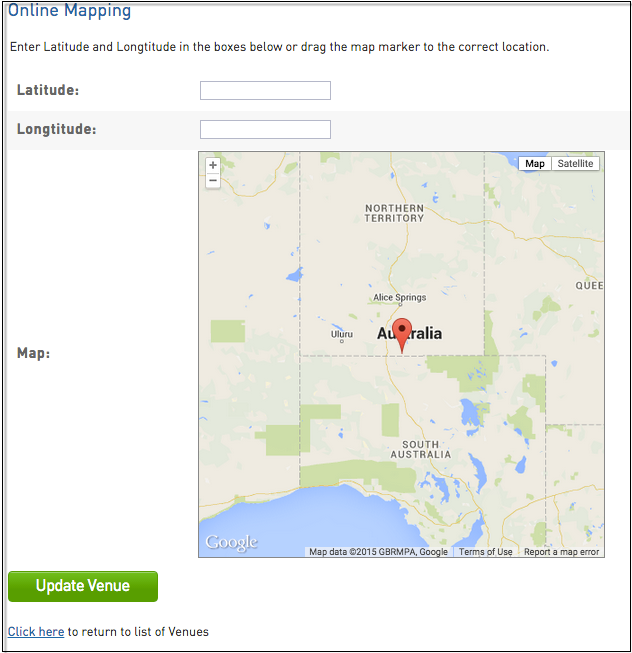 Click on the Add a Venue button in the top right hand corner. 3. Enter the details in as required. 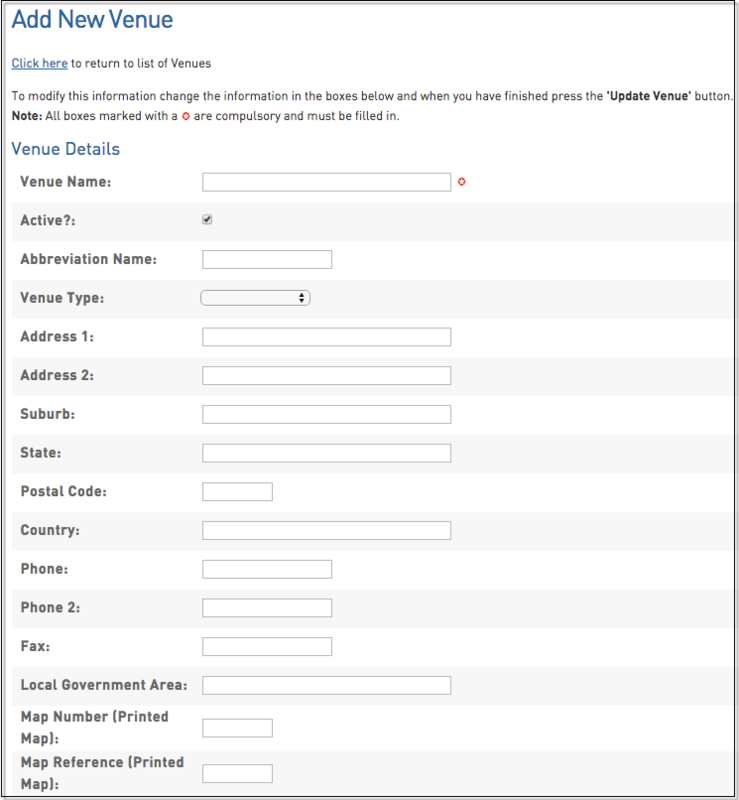 If you include a Street Address, Suburb and Postcode then a Google Map of this venue will appear on this Venue's page on your website enabling players and supporters to find the venue a lot easier.